Brenton Tarrant covered his arsenal with symbols and names that medieval historians say are being misused by white supremacists. Those who died while exercising their right to history are testimony to the fact that the historian’s craft is vulnerable, that its integrity needs constant vigilance and protection, that the defence of its basic principles is a duty for all, always, and everywhere. Officials refused to implement his plan. He lost and the dictatorship ended. 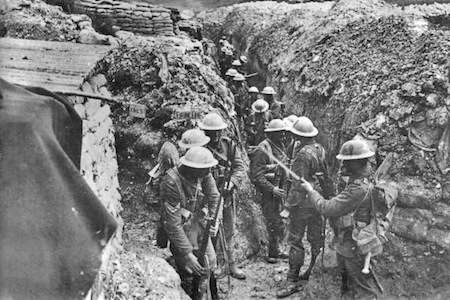 Steven Pinker: This Is History's Most Peaceful Time--New Study: "Not So Fast"
War deaths have increased dramatically in the modern era, new research contends, despite other statistics that suggest the risks of becoming a victim of violence have lessened. 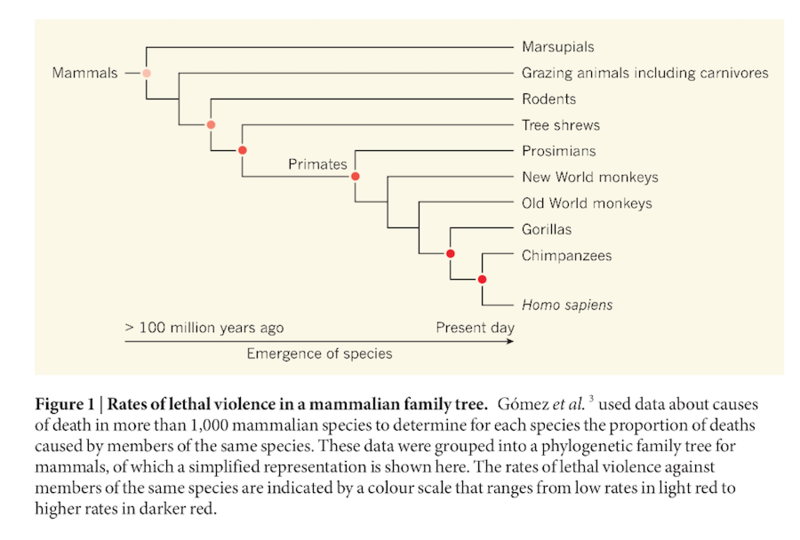 Researchers estimate that the incidence of human lethal violence at the time of the origin of our species was about six times higher than for the average mammal, but about as violent as expected, given our great-ape ancestry. "There are decades where nothing happens, and weeks where decades happen." Race and guns, April 1968 and July 2016. 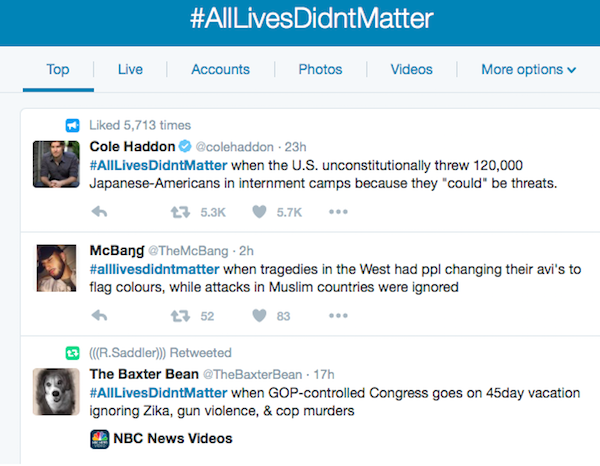 It’s in response to the AllLivesMatter meme. Russia, China and the USA are among the world’s most violent societies at home and pose the greatest threat to the continued existence of civilization. As the author of a book on presidential assassinations, he’s concerned the ugly rhetoric of this election will lead to an act of violence. Officers’ tendency to see what they fear can make them dangerously fallible. A society that shares this conditioning is inclined to dismiss their mistakes. The famed social scientist Nassim "Black Swan" Taleb is out with a new paper that claims violence in the past and present has been underestimated. This video features statements by three local activists in Ferguson, Missouri who joined the movement to protest police violence after the shooting of Michael Brown last summer. Long after Martin Luther King's death, his message of non-violence is carried by a protege. Does Gun Control = Death Control? "Eleven American cities – Chicago, New Orleans, Detroit, Los Angeles, Jacksonville (Fla.), Miami, Orlando, Omaha, Atlanta, Aurora, IL, and Dallas, account for over 70% of all American gun homicides." What if Americans Outlawed Private Gun Ownership? Imagine how different the world might be if Robert Kennedy and Martin Luther King had lived. We should heed historians' warnings, but we should also appreciate the progress that global security has made in the intervening century. 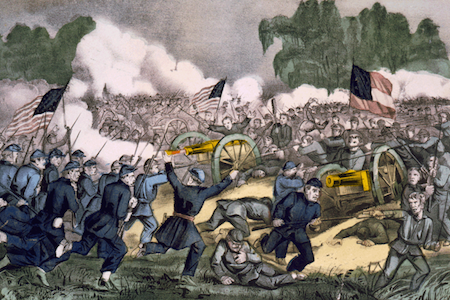 Resorting to violence is a long-term, deeply-ingrained habit in human history, and is not easily discarded. More than two years after the hope that accompanied the so-called “Arab Spring,” the Occidental experts, politicians and public opinions are now chocked by the return of political violence in Egypt, perpetuated by the military. What is striking about these reactions is the difficulty to understand why so many Egyptian former dissidents, liberals and even leftists, who fought against Mubarak and his military dictatorship, now clearly support General Al-Sisi’s coup and even justify the recent massacres of Muslim Brothers. Is it possible to explain such a dramatic shift without blaming these sincere men and women, who claim to struggle for democracy but, at the same time, approve the use of political violence?